A day after a deadly brawl that left homes trashed and forced families to move into a community hall, the Bishop of Broome has warned Aboriginal residents of Kalumburu they are vulnerable while divided, reports The Australian. 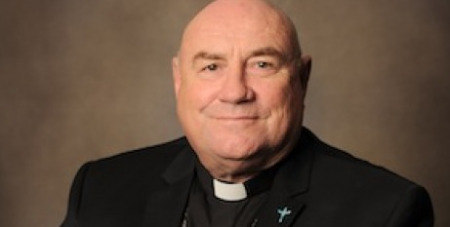 The Church’s most senior figure in the north Kimberley region of Western Australia, Bishop Christopher Saunders, has addressed members of the sometimes-duelling Kwini and Gamberre language groups at the tiny Kalumburu chapel, telling them their survival as a community depends on peace. “This could be used against you,” he said of the fighting that has sparked talk of payback. A 24-year-old woman has been charged with the manslaughter of a 38-year-old woman and taken away on a plane to ­Kununurra, where she appeared briefly in court yesterday. Police believe the 38-year-old woman, from the community of Mowanjum near the port town of Derby, died as a result of injuries she received during the violence in the streets of Kalumburu on Sunday. Kalumburu resident Justin Djanghara also died in a barricaded house, ostensiblytly as rocks rained down on it. He apparently had a heart attack. Major Crime Squad detectives will examine his death in their investigation of the street fight. Bishop Saunders said he spoke about long-term peace at a Monday church service. “I told them if they want to survive, they are going to have to at some point ­address the heart of this matter and look to heal,” he said.